Deadpool has been collecting nominations this awards season and among them is a Writers Guild Award nomination for Rhett Reese. Reese spoke to Variety about how Deadpool became a standout superhero movie in a market saturated by the genre. Reese says that star and producer Ryan Reynolds told him and co-writer Paul Wernick to “write it as dark as our minds would go, as silly and sexual and violent as we wanted. During those six years, Disney purchased Marvel and the Marvel Studios movies continued to dominate the box office. Fans know how the leaked Deadpool test footage helped push the movie into production, but there was more to it than just that. “Let’s do something Marvel and Disney can’t do,” Reese says. The idea was that Marvel and Disney could never go to that dark, sexual, and violent place that Reese and Wernick had gone to with Deadpool without sacrificing their family-friendly brand image. The plan seems to have worked. And it has been quite the success. Deadpool broke records for an R-rated movie at the box office. A series of sequels are already in the works. Deadpool is directed by Tim Miller and written by Rhett Reese and Paul Wernick. 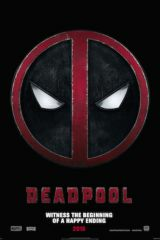 Deadpool stars Ryan Reynolds, Morena Baccarin, Ed Skrein, T.J. Miller, Gina Carano, Leslie Uggams, Brianna Hildebrand and Stefan Kapičić.